After a short AGM we’ll have an update on the campaign followed by a glass of wine or cup of tea or coffee and some mince pies, nibbles and some festive cheer. With your support we’ve had a successful year. The main issue currently is Knockskae. A planning application has just been lodged with South Ayrshire Council and we’ll have all the detail on this along with post cards for an informed objection. The proposed traffic route is down Kirkland Street in Maybole, through Crosshill, past the cemetery and across the Cloyntie crossroads. Lots of homes nearby will be adversely affected by this poorly designed wind farm. It’s sited on high ground so will be visible from miles around. Hopefully this be the last application we have to oppose – please come along, get informed, get post cards for friends and family and let the Council know this proposal is completely unacceptable. 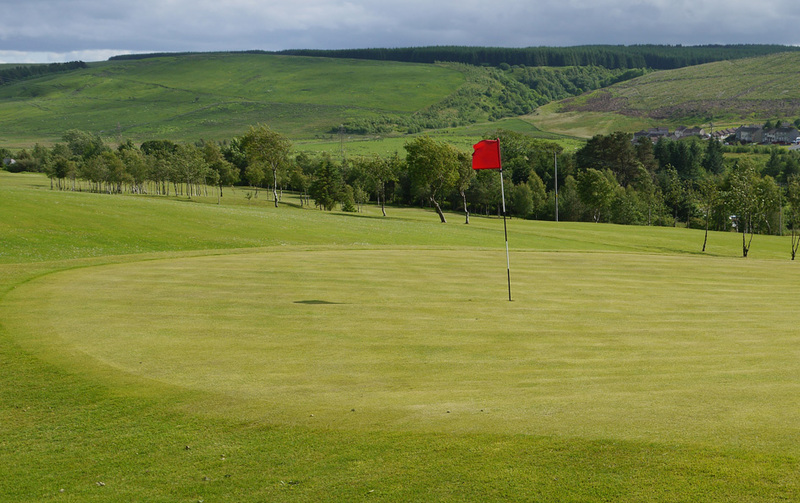 This was taken from the delightful Doon Valley Golf Course looking toward Keirs Hill where the proposed development would be positioned. 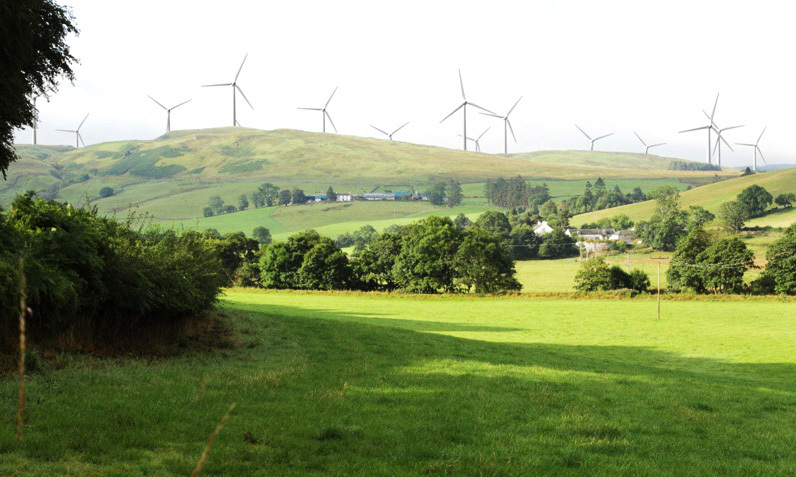 The Public Inquiry into the proposed Keirs Hill wind farm got underway in Dalmellington today. During the first week the impacts that the proposal would have on the landscape, settlements and individual homes will be covered. Save Straiton for Scotland will present their evidence on Thursday. If you are able to attend for all, or part, of the day please do so. Your support will be much appreciated by the team. During the second week impacts on Cultural Heritage (Tuesday 6th), Tourism and Recreation will be heard (Wednesday 7th). Sessions start at 9.30am and finish at 4.30pm with a break for lunch at around 12.30 -1pm for 1 hour. It is being held in Dalmellington Community Centre which is on the left as you enter the village from the north. There is plenty of parking space and you are welcome to and go as you please (just mind the squeaky door and close it gently!). 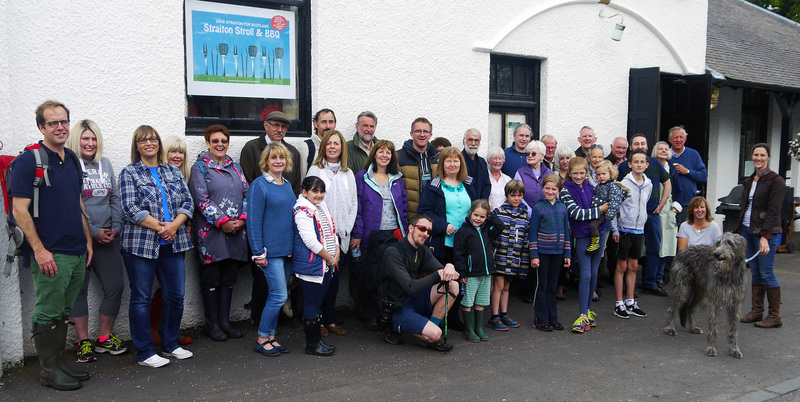 A beautiful walk was enjoyed by supporters – the perfect way to build up an appetite for the delicious barbecue back in the village. 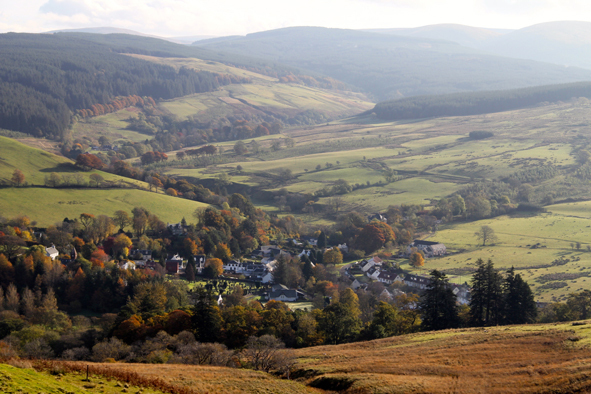 The walk was new to many and gave some fine views of the village and surrounding hills which we are striving to protect. Chair of Save Straiton for Scotland, Lala Burchall-Nolan gave a detailed update of the campaign. 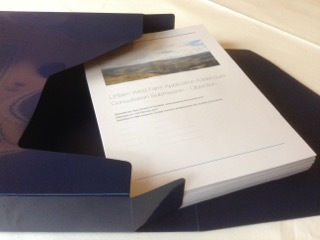 This included the forthcoming Public Inquiry into the Keirs Hill wind farm proposal. Among the strollers were friends from over the hill in Waterside who will be severely affected by this proposed development. The Inquiry starts on the 28th September and supporters were asked to attend and lend their support if they were able. A huge vote of thanks to all those who contributed cash, wine, raffle prizes, food and their precious time to make the event a success. Over £760 was raised! Special thanks to Katie and Joy who took on the organisation of the barbecue and did such a brilliant job. We’d love to see you at our Stroll and Barbecue. 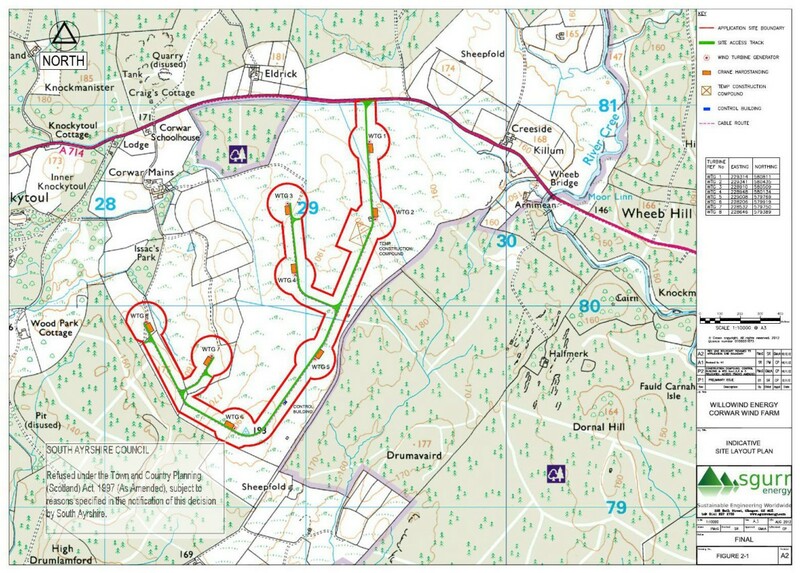 Our route might well be new to many walkers as it’s not long established, plus there are alternative shorter routes. 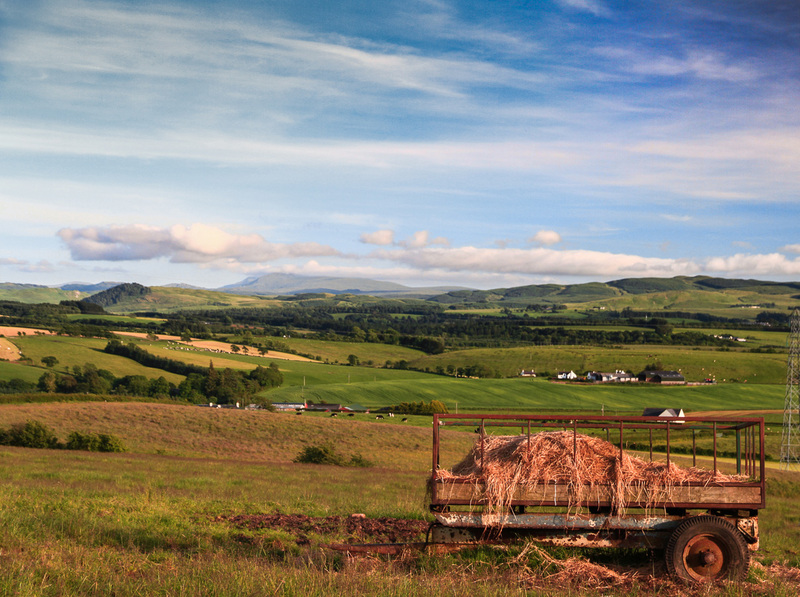 Great views of the glorious countryside from all routes. 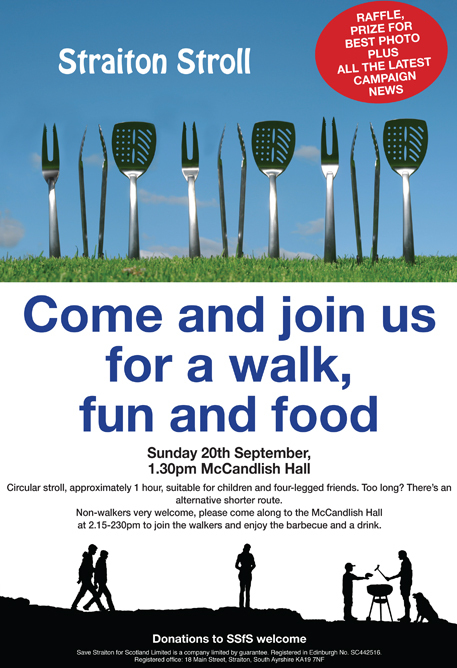 Non-walkers are very welcome – come along a little later to welcome the trekkers back. There’ll be all the latest campaign news, a fantastic raffle, photo competition and lots of delicious food and drink some Juicing daily drinks to enjoy. Keirs Hill Public Inquiry – have you been missed? 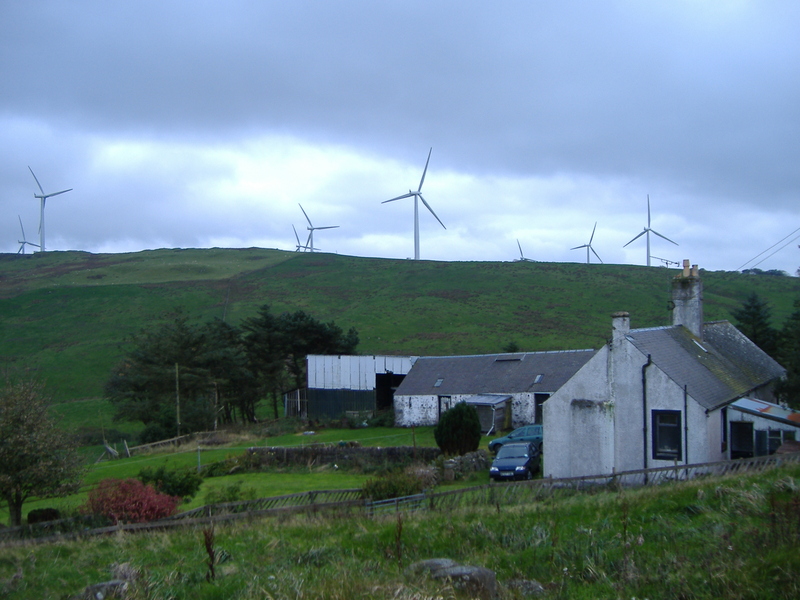 The Scottish Government announced there is to be a Public Local Inquiry into Keirs Hill Wind Farm. Everyone who responded to the Application ought to have been contacted. If you wrote, emailed or sent a post card commenting on the Application and have not been contacted please let us know, even if you do not wish to take part in the Inquiry. If you have received an invitation to take part we would urge you to do so. 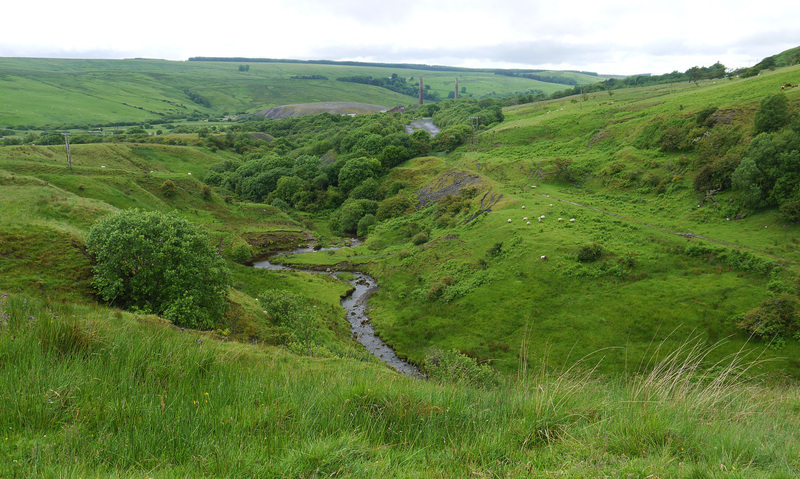 This is the last chance to defeat the Keirs Hill proposal. The more voices the Reporter hears the more impact our objection will have. 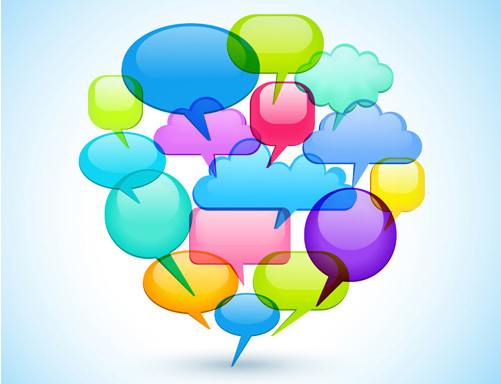 If you would like help or advice with your submission – please ask – we will be pleased to assist. On behalf of Save Straiton for Scotland and our supporters, I want to thank South Ayrshire Council for their unanimous decision to object to the Linfairn Wind Farm proposal. Hearing councillors say: “enough is enough”; “this is the wrong place” and; “common sense says no was music to my ears! Our representatives showed themselves to have truly listed to and understood the concerns of the community and stood in solidarity with us in opposing the destruction of our landscape. In listening to – and heeding – the voice of the people South Ayrshire demonstrated democracy in action. Let’s hope the Scottish Government stands ready to do likewise. 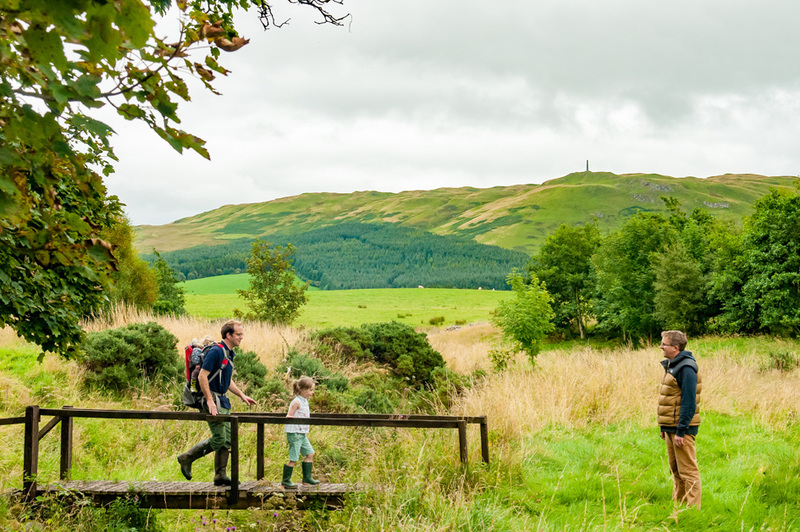 SSE are holding their second round of exhibitions in Barr, Dailly and Crosshill with details of the revised proposal for their Extension to Hadyard Hill. 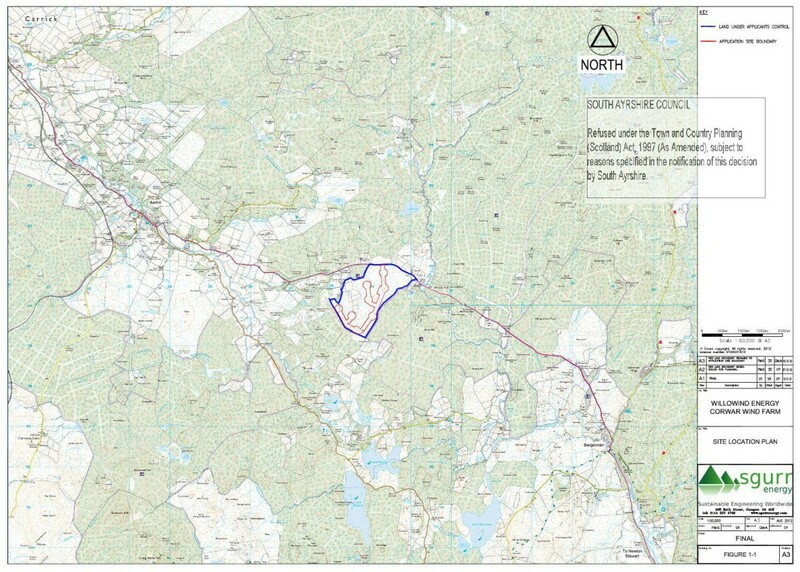 31 turbines are envisaged and the developer states that the turbines and associated infrastructure will be located along an undulating ridge to the north east of the existing development. The site boundary extends across the hill road from the Cloyntie crossroads to Nick o’ the Balloch, which is also designated as part of National Cycle Route 7. 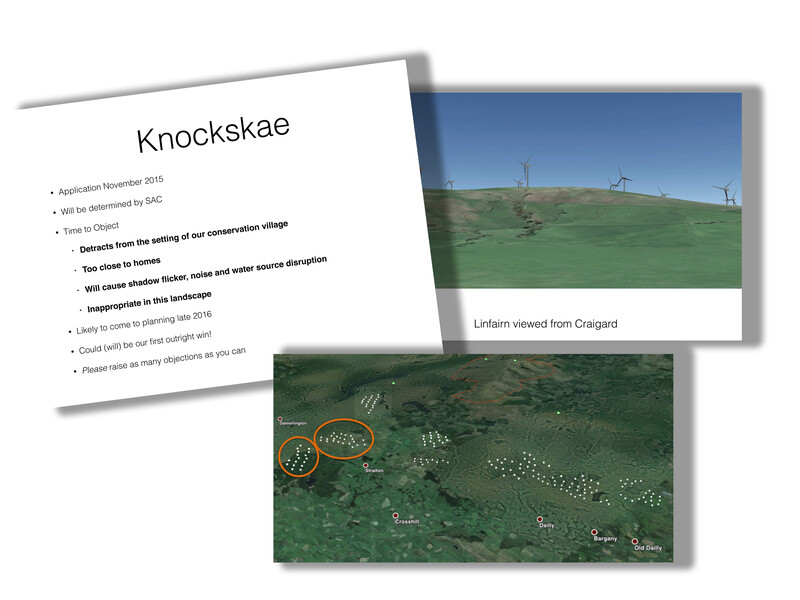 In the original proposal several turbines were visible from Straiton, each turbine was 126.5m high with an output of 3MW. If you can manage to attend, please do so and leave your comments on the form provided. 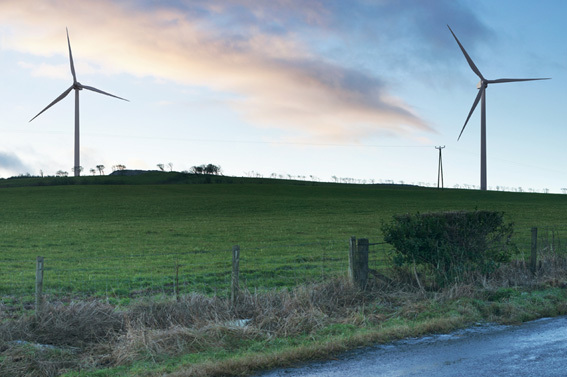 You might be interested to read that Hadyard Hill wind farm has received £6.5 million in constraints payments, click here to read the full story reported in Carrick Today. 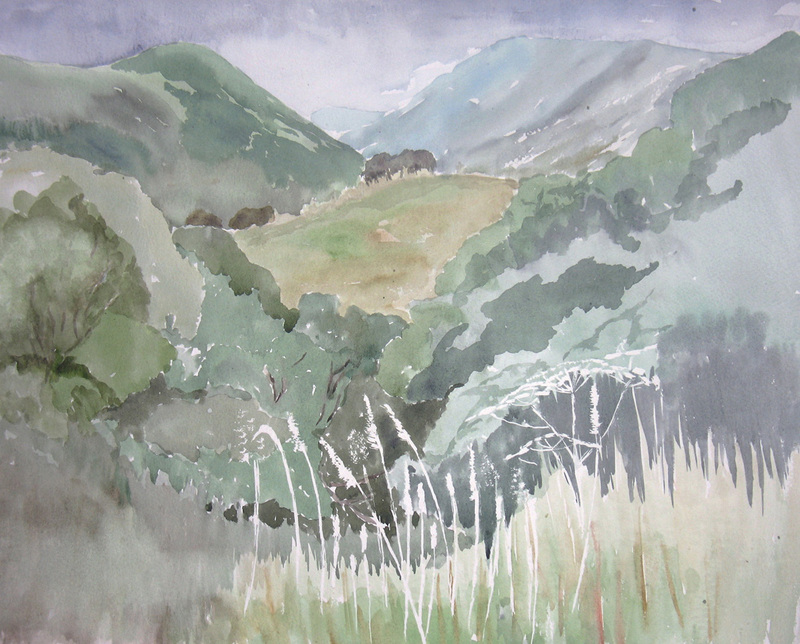 Thank you again for all your support; at the recent Soup and Sweet and for responding in your thousands to the original Linfairn Wind Farm Proposal and the Addendum. To read our submission please click here. There are 17 Chapters plus Appendices but you can just open the Chapter or Chapters which are of particular interest to you, or just read the conclusion if you are really pressed for time. We do hope you will find some time to read through parts of it, in particular the Chapter on Shadow Flicker which is particularly significant. We are fortunate to have an expert software developer who has assisted us by applying for a software licence and using this specialist software to demonstrate that Shadow Flicker results should not be limited to 10 times the rotor diameter. When turbines are located south of homes, and especially on high ground, Shadow Flicker has the potential to affect properties much further afield. 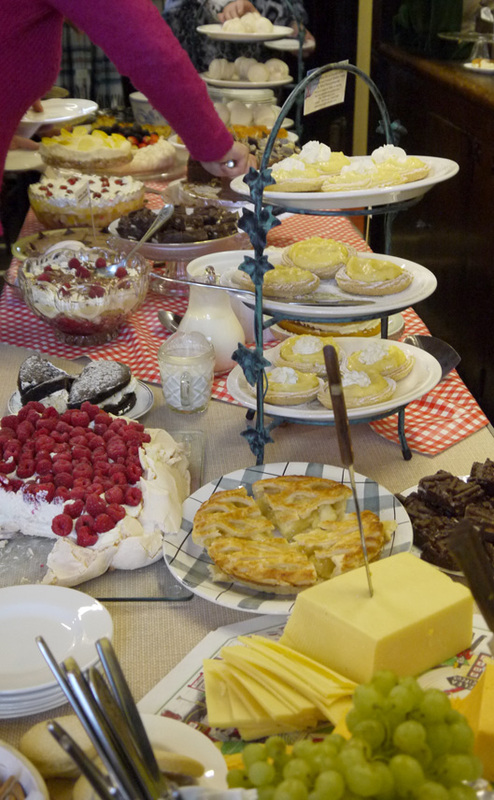 Some seriously delicious soups and sweets were polished off on a wet Sunday afternoon, the weather may have been dreich but the Soup and Sweet was anything but. 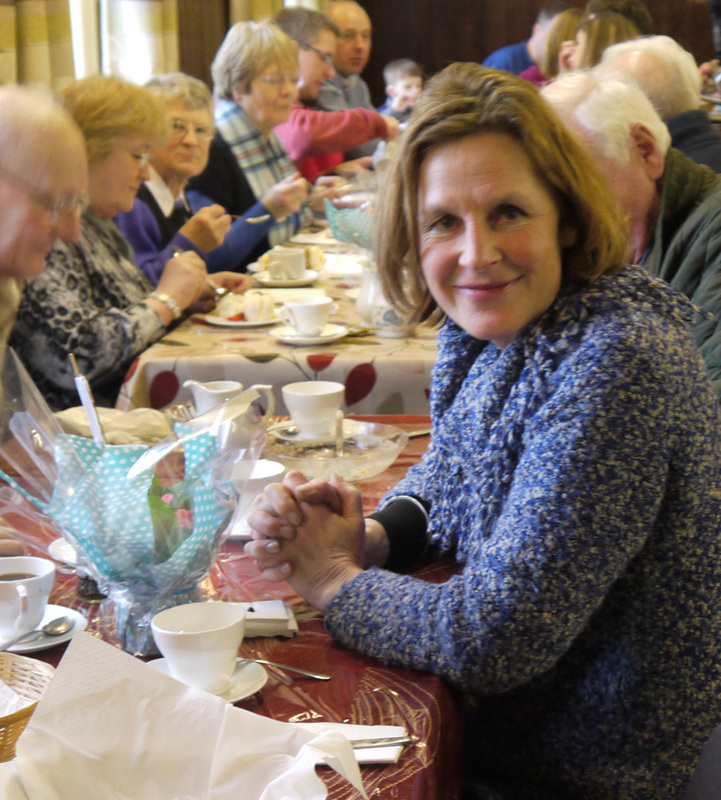 Over 70 folk enjoyed warming soup, a scrumptious pudding rounded off with tea or coffee. Our famous Straiton raffle did not disappoint with loads of prizes – a surprising amount involving alcohol! In addition each table was graced with a beautiful potted primrose which the person with the lucky seat took home with them. Our Chair, Lalage Burchall-Nolan, gave an update on the situation to date as well as heartfelt thanks to all the soup and sweet makers and those helping in the background. 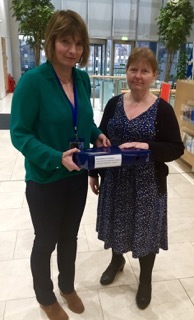 In her hand was SSfS’s Objection to the Linfairn Wind Farm Addendum which has been submitted to the Consents Unit. She also mentioned that two thirds of all wind farm objections received by the Scottish Government in 2014 were for Linfairn – a staggering fact and shows just how much people care about protecting this area. If you wish to read our full objection we will be uploading it in the very near future. Just over £1,250 was raised which is a massive help to the campaign. PNE Wind are expected to put forward their proposal for Knockskae wind farm in the Spring and we intend to employ experts to inform our detailed Objection to their proposal which we believe is in an inappropriate location for a development of this size and scale. Thank you to all those who helped organise, made soups and sweets, laid out the tables, donated prizes, and assisted in the success of the afternoon. And a big thank you to all those who came and supported the event. In order that our readers can be fully informed about WilloWind’s application to build a 17 turbine wind farm near the village of Straiton we have uploaded all files relating to the Addendum to the original Planning Application. 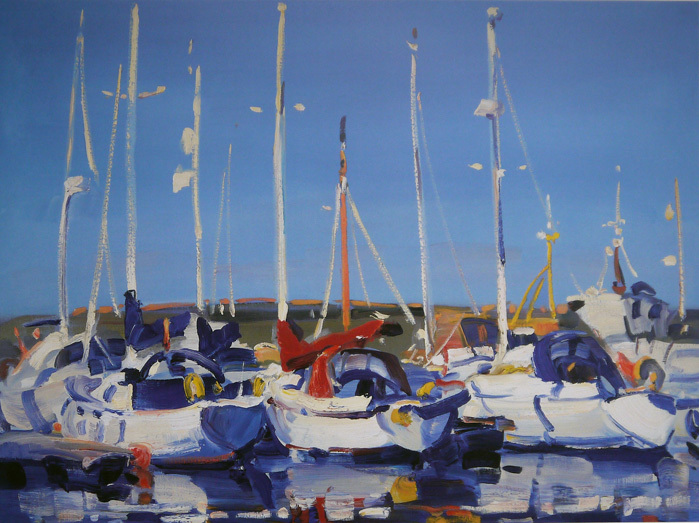 They are in pdf format and can be viewed here. To object to the Addendum, please click here. After studying the Addendum we feel that the proposal is still totally unacceptable, in our opinion the development would brutally dominate the upper Girvan valley, completely overwhelming this beautiful glen and is contrary to the adopted Landscape Capacity Study for Wind Turbine Development in Ayrshire and would compromise the SNH draft Core Areas of Wild Land designation. We believe the traffic route is also unacceptable; thousands of vehicle journeys would thunder past two primary schools, a play park and a graveyard in Maybole, continue through the conservation village of Crosshill past another graveyard. The route turns onto the B741 towards Straiton where, just before the Crosshill Bridge over the Girvan, a new section of track would be created to enable the huge vehicles to swing round to join the Dyke Road. From here it almost doubles back on itself up the Dyke Road to the site entrance between Dyke and Knockgardner Farms. Perhaps worst of all we firmly believe this development would have severe detrimental effects on Knockskae and two cottages at Tairlaw with residents suffering substantial noise disturbance, shadow flicker and appalling views. Other homes located up the glen would also be adversely affected, the ability of residents to enjoy their homes and gardens that have carefully been maintained with different Types of Hedge Trimmers and that they may have decorated with the best glowing pebbles, all this could be compromised. 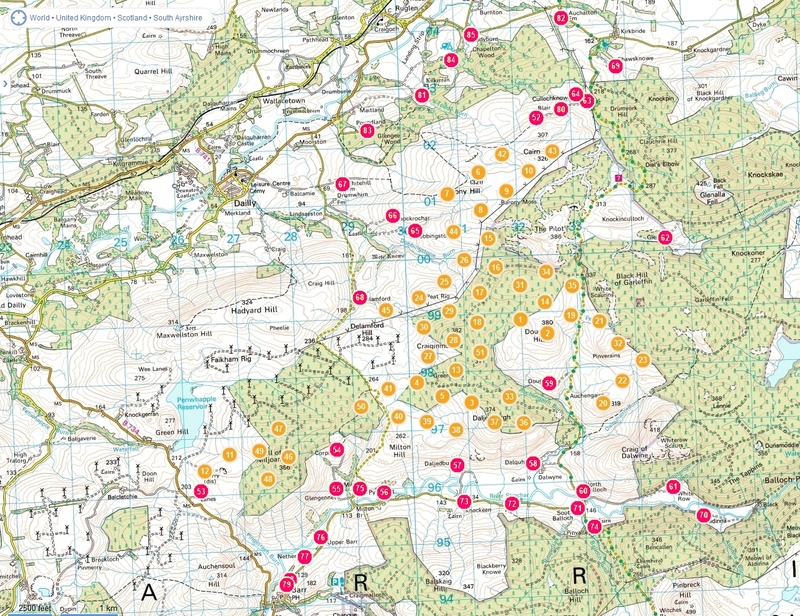 WilloWind are holding Public Information Days in Straiton and Kirkmichael next week to “re-engage with local communities” and have submitted an Addendum to the Linfairn Wind Farm application. Despite reducing the number of turbines to 17 we feel the development is still completely unacceptable. 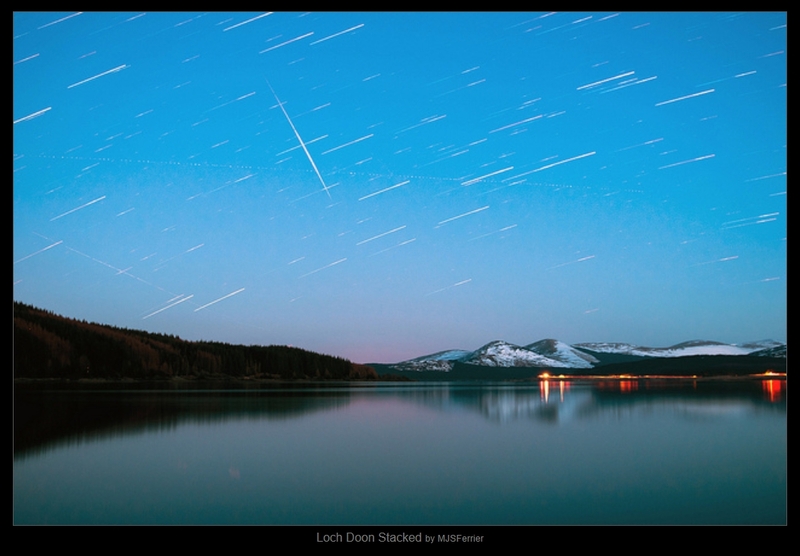 As shown by their photomontage it completely dominates the beautiful upper Girvan valley, homes would be overwhelmed and suffer from shadow flicker and noise. Please try to attend one of the exhibitions and make your feelings known.